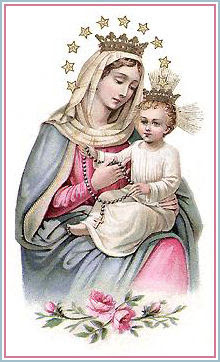 Because Mary has promises that through the Rosary sinners will be converted and the just will grow in grace, devout Catholics should recite the Rosary for the conversion of sinners who draw down the punishment of God and the scourge of war. St. Charles Borromeo, used to say, during his holy war against heresy, "I rely almost entirely upon the Rosary for he conversion and sanctification of my people..."
...Know that the virtue of patience is the one that most assures us of perfection; and if we must have patience with others, so we must with ourselves. Those w ho aspire to the pure love of God have not so much need of patience with others as with themselves. We must suffer our imperfection in order to have perfection. I say suffer, not love or pet; humility feeds on this suffering. Thank you Mary Jane for sharing this! 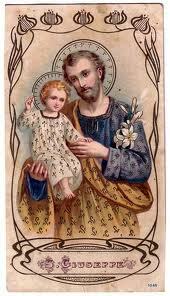 start Novena on Friday, February 18 to end on March 19, Solemnity of St. Joseph. 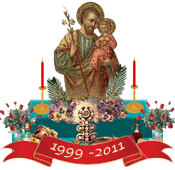 Please make this novena for Holy Mother Church, families and the protection of the sanctity of marriage and life, the homeless, the unemployed and/or those who are dying. In honor of the years he spent with Jesus and Mary. I ask it by the weariness and suffering you endured when you found no shelter at the inn of Bethlehem for the holy Virgin, nor a place where the Son of God could be born. Then, being everywhere refused, you had to allow the Queen of Heaven to give birth to the world's Redeemer in a cave. 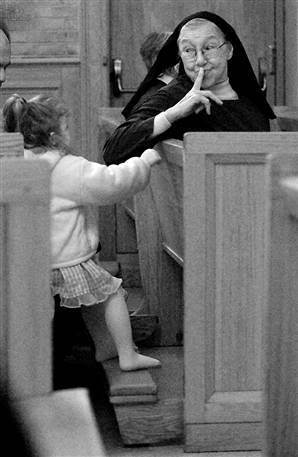 Jesus, which you conferred on the adorable Infant. I ask it by that painful torture you felt at the prophecy of Simeon, which declared the Child Jesus and His Holy Mother future victims of our sins and of their great love for us. I ask it by all your care to protect the Sacred Child and His Immaculate Mother during your second journey, when you were ordered to return to your own country. I ask it by your peaceful life in Nazareth where you met so many joys and sorrows. I ask it by your great distress, when the adorable Child was lost to you and His Mother for three days. I ask it by your joy at finding Him in the Temple, and by the comfort you found at Nazareth, while living in the company of the Child Jesus. I ask it by the wonderful submission He showed in His obedience to you. I ask it through Mary's glorious Assumption, and through that endless happiness you share with her in the presence of God. by your patronage from danger freed." This prayer may be said during any 30 days of the year. 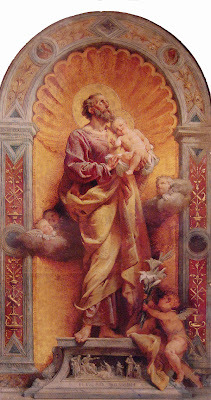 NOTE: Evann has a reminder on the February 19th opening of her virtual St. Joseph's Altar. You can read about it here. The following are books that I think will make good reading for Lent. They include not only books on the Passion and Death of Our Lord but stories of conversion, biographies of holy men and women, spiritual direction, and the Holy Eucharist. I have tried to find the book online for your reading convenience. They are in no particular order. 1. The Crown of Sorrow by Most Rev. Alban Goodier, S.J. 2. Holy Hour by The Rev. Fr. Mateo Crawley-Boevey, SS.CC. 9. In Silence With God by Benedict Baur, O.S.B. 10. Spiritual Doctrine of St. Augustine by Ignatius M. Barrachina, O.C.D. 12. The Blessed Eucharist Our Greatest Treasure by Fr. Michael Muller, C.S.S.R. 13. They Bore the Wounds of Christ: The Mystery of the Sacred Stigmata by Michael Freze, S.F.O. 18. Read Me or Rue it...How to Avoid Purgatory... by Father Paul O'Sullivan, O.P. 21. The Life of Christ by Isidore O'Brien, O.F.M. 25. The Holy Souls "Viva Padre Pio" by Fr. Alessio Parente, O.F.M.Cap. 26. Pray Always by Very Rev. James Alberione, S.S.P., S.T.D. 37. He Leadeth Me by Walter J. Ciszek, S.J. with Daniel Flaherty, S.J. 39. 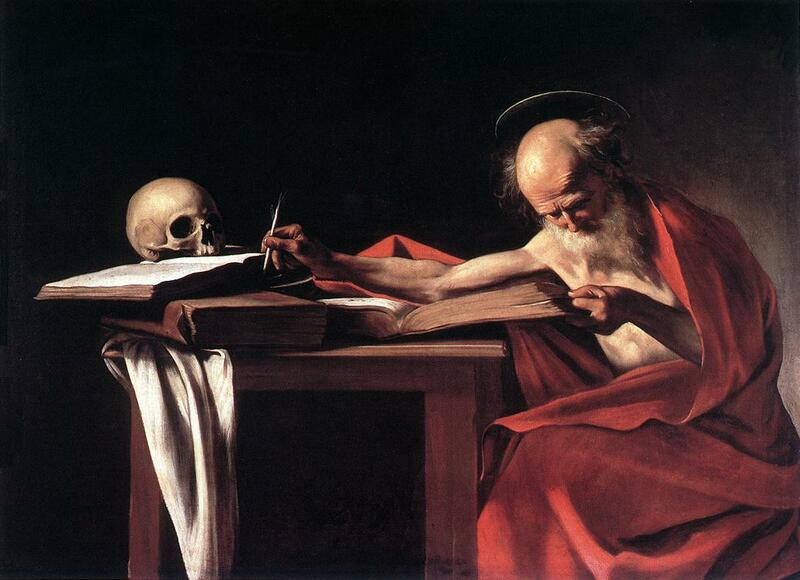 The Catholic Lifetime Reading Plan by Father John A. Hardon, S.J. I think I must be maturing in my spiritual life because I no longer dread the approach of Ash Wednesday. I am actually looking forward to having a reason to focus more on the passion and death of Jesus during this penitential church season. The challenge will be to come up with a good plan for the 40 days before Easter Sunday. One thing I know for sure is that I will not give up just one thing and then compensate for it by doing something else....for instance, giving up something specific like the computer, only to compensate by watching more television. At least, that is my goal this Lent. I also have to keep in mind how my sacrifices and attempts will affect my family. For instance, I was thinking of going meatless this Lent. Yet when I suggested it to my son, he was horrified by the idea that he wasn't going to get enough sustenance which he needs for school and work. Another idea of mine was to not watch anything but EWTN or religious movies and programs on Netflix. When I suggested that idea to my family, they looked very skeptical that we could accomplish such a feat. It is a challenge to come up with a family-based Lent sacrifices with a college age son and a husband who did not have these traditions growing up. I think with a little effort I can probably come up with better ideas than just fasting on Ash Wednesday and Good Friday; putting extra coins in the CRS rice bowl and my usual daily prayers. Note: We will try not resume what we are sacrificing on Sundays during Lent (Little Easters) as an additional sacrifices. The following are some suggestions that I am sharing with you. Do not feel obligated to do all of the things listed. It will be better to accomplish one or two of the following during the entire Lenten season than to attempt all of them and fail by the end of the first week in Lent. 1. Non-religious reading material such as books and magazines will be saved until after Easter. 2. Radio, iPod, CD player will be silenced during Lent. 3. Participating in the Stations of the Cross with the parish or at least individually, every Friday. 4. Reading The Dolorous Passion of Our Lord Jesus Christ by Bl. Anna Catherine Emmerich. 5. Watching more of the Lenten programs that EWTN offers through the Lenten Season. 6. Contributing money or groceries to our parish's outreach program. 8. No snacking following dinner time. 11. Sit quietly while knitting, sewing, crocheting, etc. 12. Giving up lunch, dinner, coffee with friends and taking the money saved by not going out and contributing that to Operation Rice Bowl. 14. Go to daily Mass during Lent. After all, our venial sins are forgiven at Mass! Why waste this golden opportunity. 15. Attend a parish mission. 16. Make sure to go to confession before Easter. Many parishes offer reconciliation services. 17. Make a good effort to examine your conscience daily. 18. Get into the habit or prayerfully and reverently saying Jesus' sweet Name as often as you can during the day. 19. If you don't pray the rosary daily, Lent is a good time to get into the habit of doing so. 20. Have a Mass offered for a holy soul in purgatory in your own family or group of friends. 21. Read books by the great spiritual writers such as my favorite Saint Francis de Sales. Other recommended writers include St. Theresa of Avila, St. Ignatius of Loyola, St. John of the Cross, St. Catherine of Genoa, St. Alphonsus di Liguori, etc. There are so many writers I could recommend. 22. Keep a Lenten journal. 23. Spiritually adopt a preborn baby, a priest and/or a persecuted Christian. 24. Plant a Lenten Garden. For ideas Google search "Lenten Garden" there are plenty of suggestions. You can also just grow a garden. After all, Lent means spring and spring is the time of new growth. 25. Forgive someone who has hurt you; reconcile with someone; or ask for to be forgiven if you have hurt someone. 26. Remember the elderly and offer assistance. 27. Participate in 40 Days for Life by actively praying in front of an abortion clinic or by making a Holy Hour for the conversion of abortionists. 28. Read the Holy Bible, especially the Gospels and also read the Catechism of the Catholic Church. 29. Try to learn more about the Catholic Church so you can defend her when she is attacked. 30. Read the Thomas a. Kempis' Imitation of Christ and really make an attempt to imitate Christ. 31. Read more about your patron saint and try to imitate his or her virtues. 32. Read about a saint or holy person that you do not know much about. 33. Practice devotion to Our Lady of Sorrows and her seven dolors. 35. Make it a point to meditate on the Passion of Christ every day. 36. Read from St. Faustina's Diary every day. 37. Start a prayer group with a few people to help each other grow spiritually. 38. Treat your family members like you would treat people outside the home...with respect. 39. Lift your heart and mind to God often during the day and night, especially when things are difficult. 40. Offer up your daily little cross for love of Jesus. For more suggestions, be sure to check out the list I made last year and it can be found here. Sister Lisa has a powerful post today regarding the torture being inflicted on Said Musa and his sentence of death. His picture is the one above. His crime? He believes in Jesus Christ. He has written an open letter to President Obama begging for help. The Definition of Christian Faith - the Cross. Lisa Graas has a prayer request for a CBS correspondent who was covering the protest in Egypt when she was separated by her crew. She was then sexually assaulted and brutally beaten. Prayer Request for CBS Correspondent Lara Logan. Michelle Malkin also posted about the attack on Lara Logan. Her post revealed her anger toward the attackers. At one point she wrote: "Damn the animals who are responsible. Damn them." CBS News Reporter Lara Logan Sexually Assaulted and Beaten in Cairo The comments left there will no doubt be angry as well. I guess it is a normal human reaction to be outraged and angry when we hear of horrific stories like these which seem to be happening almost on a daily basis somewhere in the world . But damning them to Hell is wrong. What we must do make others aware of the plight of Christians like Said. More importantly, we must pray. Many will scoff at this simplistic solution. But really, who can help the innocent people suffering at the hands of a fanatical society or a frenzied mob? We certainly cannot. But God can. It may seem like our prayers are not being heard but God hears them. Please, please, please....do not forgot our suffering and persecuted brothers and sisters. Pray for them. Pray for Said and other Christians. Offer up sacrifices for them. Even with all our prayers and sacrifices, they may still be called to be die for the faith. We can pray that God strengths them during the cruelest times of sufferings. As difficult as it is for me to suggest this to you but we need to pray for the conversion of the persecutors. It seems there are more Christians dying as martyrs now. I am sure God permits all this suffering for a reason. I have no idea why. 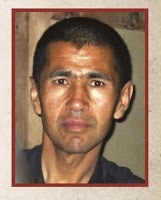 Said Musa and other persecuted believers may be called to martyrdom and we may not ever be called to be a martyr. Yet we are all Christians first. Let us remember what it really means to be one. "For the Love of God, Shut Up!" Very good article by Pat Archbold at the National Catholic Register blog today here. It reminded me of what happened after morning Mass the other day. A group of people stayed at the Church door chatting loudly while a few us sat in our pews praying. One lady couldn't take it anymore. She turned around and told them very angrily and loudly to shut up. Of course, she did not say "shut up". I'm pretty sure she said "be quiet" but I'm not sure it mattered. Nor am I sure which was worse, the inconsiderate people in the back or the angry woman in church. I knew that Jesus' name was powerful. But I did not realize just how powerful His Holy Name was until I read The Wonders of the Holy Name by Fr. Paul O'Sullivan, O.P. Thanks to my dear mother for sending it to me. The following are excerpts from this little treasure of a book, which by the way can be purchased through Tan Books. - The world is now threatened with the direst calamities. Each one of us can do much to save himself from the impending evils, and we can do much to help the world, the Church and our Holy Father the Pope, simply by repeating frequently, "Jesus, Jesus, Jesus"
- ...,we must get into the habit of saying it devoutly, frequently, hundreds and hundreds of times every day. Far from being a burden, it will be an immense joy and consolation. - The Holy Name of Jesus is...an all-powerful prayer. Our Lord Himself solemnly promises that whatever we ask the Father in His Name we shall receive. God never fails to keep His word. - Each time we say, "Jesus," we give God infinite joy and glory, for we offer Him all the infinite merits of the Passion and Death of Jesus Christ. - Each time, we we say "Jesus" let us clearly wish to offer God all the Masses being said all over the world for all our intentions. We thus share in these thousands of Masses. - All we have to do is to say reverently, "Jesus, Jesus," with the intention of offering these Masses and participating in them. By doing this we have a share in all of them. - Each time we say "Jesus, it is an act of perfect love, for we offer to God the infinite love of Jesus. 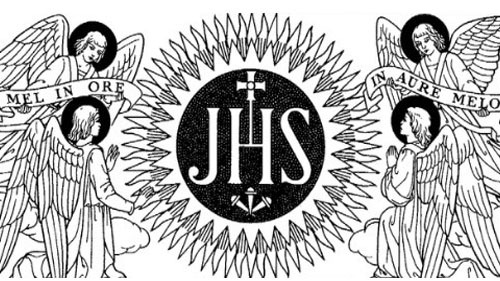 - The Holy Name of Jesus saves us from innumerable evils and delivers us especially from the power of the devil, who is constantly seeking to do us harm. - The Name of Jesus gradually fills our souls with a peace and a joy we never had before. - The Name of Jesus give us such strength that our sufferings become light and easy to bear. - Every Christian must turn to God and ask Him to have mercy on us. The easiest of all prayers, as we have seen, is the Name of Jesus. - You may ask...how it is that one word can work such prodigies?...with a word God made the world. With His word, He called out of nothing the suns, the moon, the stars...By His word He sustains the whole universe into existence. - ..."Jesus" signifies "God-made-man" viz., the Incarnation. - When you say the Name of Jesus, remember to thank Our Sweet Lord for His Incarnation. - Has He not much more reason to feel grieved and hurt with you and me, who thank Him so little for all He has done for us in the Incarnation and in His Passion? - ...when we say, "Jesus," we should also wish to offer the Passion and Death of Our Lord to t he Eternal Father for His greater glory and for our own intentions. - Just as Our Lord became man for each one of us, as if each one of us were the only one in existence, so He died, not for all men in general, but for each one in particular. When He was hanging on the Cross, He saw me, He say you...and offered every pang of His dreadful agony, every drop of His Precious Blood, all of His humiliations, all the insults and outrages He received for me, for you, for each one of us! He has given us all these infinite merits as our very own. We may offer them hundreds and hundreds of times every day to the Eternal Father--for ourselves and for the world. - We do this every time we say "Jesus". At the same time, let us wish to thank Our Lord for all He has suffered for us. - St. Mechtilde was accustomed to offer the Passion of Jesus in union with all the Masses of the world for the souls in Purgatory. Our Lord once showed her Purgatory open and thousands of souls going up to Heaven as the result of her little prayer. 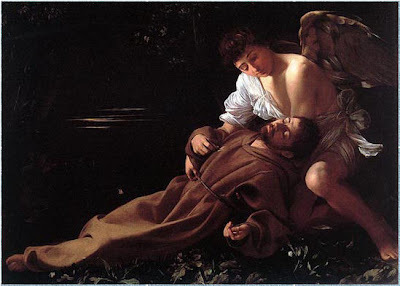 - It is most regrettable that many Catholics do not know, love and ask the Angels (our dearest and best friends) for help. The easiest way to do so is to say the Name of Jesus in t heir honor. This given them the greatest joy. They in return will help us in all our troubles and keep us safe from many dangers. - Our Sweet Lord is present in millions of consecrated Hosts in the countless Catholic churches of thew world. During many hours of the busy day and during the long nights, He is forgotten and left alone. - We can do much to console and comfort Him by sayings, "My Jesus, I love and adore Thee in all the Consecrated Host of the world, and I thank Thee with all my heart for remaining on all the altars of the world for love of us." Then say twenty, fifty or more times the Name of Jesus with this intention. - We may do most perfect penance for our sins by offering the Passion and Blood of Jesus many times each day for this intention. - The Precious Blood purifies our souls and raises us to a high degree of holiness. It is all so easy! We have only to repeat lovingly, joyfully, reverently, "Jesus, Jesus, Jesus". - If we are suffering from weak health, if we are in pain, if some disease is taking hold of our poor bodies, He can cure us...By all means consult doctors, use remedies, but above all call on Jesus! - By repeating often the Name of Jesus, we correct this grave fault and thank God and give Him great joy and glory. - He cannot attack God, so he turns all his implacable hatred and malice against us. - We are destined to take the thrones he and the other bad angels have lost. This lashes him into wild fury against us. Many foolish, ignorant Catholics never think of this; they take no care to defend themselves and thus allow the devil to inflict on them infinite harm and case them untold sufferings. - Our best, our easiest remedy is the Name of Jesus. It drives the devil flying from our sides and saves us from countless evils. - ...say constantly, this all-powerful Name and the devil can do you no harm. Say it in all dangers, in all temptations. Wake up if you have been asleep. Open your eyes to the terrible enemy who is every seeking your ruin. - Priests should preach frequently on this all-important subject. They should warn their penitents in the confessional against the devil. They counsel people to avoid bad companions, who made them lead bad lives. Incomparably more dreadful is the influence of the devil on them. - Teachers, catechists and mothers should constantly warn their children against he devil. - The city of Lisbon was saved from the plague by the Holy Name of Jesus. 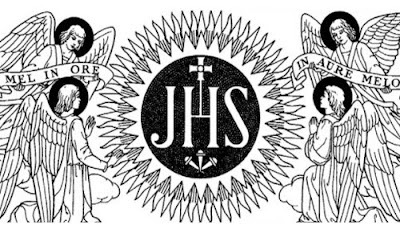 The bishop Monsignor Andre Dias urged and implored the people to call on the Holy Name of Jesus. He was seen wherever the disease was fiercest, urging, imploring the sick and the dying, as well as those who had not as yet been stricken down, to repeat "Jesus, Jesus" "Write it on cards," he said, "and keep those cards on your persons; place them at night under your pillows; place them on your doors but above all, constantly invoke with your lips and in our hearts this most powerful Name."